Greta had given up on ever finding her mother. From her adoption papers she had a name, Carolyn Palmer, but decades of searching never got her any closer to finding the woman who gave birth to her, or any other blood relative for that matter. 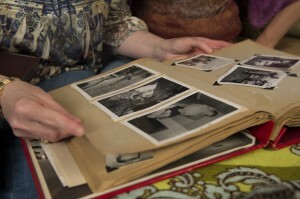 “My missing family history amounted to a million missing pieces that left me feeling vulnerable and disconnected,” she said. So by the time she joined 23andMe it wasn’t really about finding family members, she just wanted to learn a little bit more about herself. That all changed earlier this year when Greta got an email from another 23andMe member. “’I am new to this DNA relative finder website, but it seems we are first cousins! This is a pretty neat discovery,’” said an email from her new-found cousin Laura Oliver. Greta was stunned. It was her first contact with a blood relative. Greta and Laura exchanged emails and then Laura mentioned her grandparents names, Thomas and Sadie Palmer. “I gasped in disbelief as I realized that, for the first time in my life, I was hearing from such a close relative. In that initial email she also told me that she was the grand-daughter of Thomas and Sadie Palmer. My biological mother’s name was Carolyn Palmer. I began to cry,” Greta said. Then the bitter pain of learning that she was just a few months too late to meet her mother, who had died less than a year before. “But you have a sister who is still alive,” Laura told Greta. She couldn’t believe what she was hearing. Unbeknownst to Greta, Stacy had been searching too. It was just that Stacy didn’t know where to start looking. 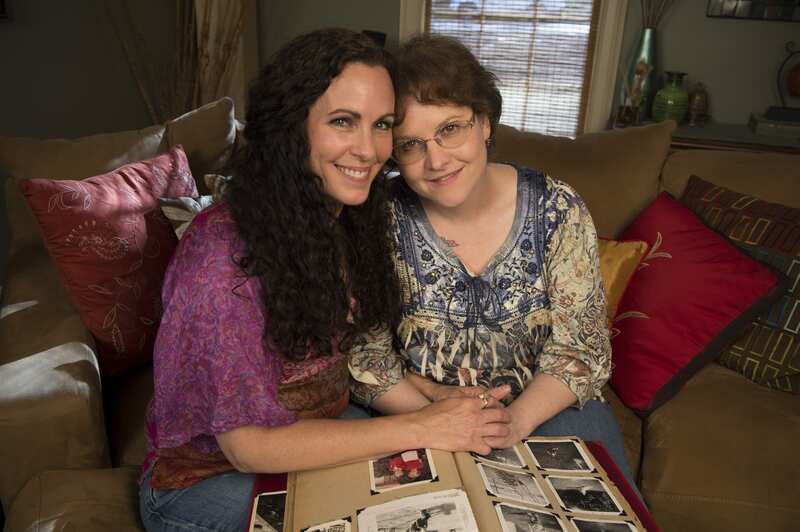 More than 20 years ago, after Stacy’s older sister died in an accident, her mother told her that she had a sister, whom her mother had given up for adoption at birth. But her mother had told her nothing more and wouldn’t speak about it. So for Stacy, all she had were questions. Who was her older sister? What did she look like? Where was she? Ever since then Stacy would wonder whether she was passing her sister in the street. Sometimes she’d look out into a crowd and scanning for a women who looked like her. “Could that be her?” she’d ask herself. It wasn’t until her cousin Laura made the connection through 23andMe, that Stacy could finally answer those questions. A few weeks after connecting online the two sisters met for the first time, hugging in the front yard of Stacy’s home in South Carolina, holding on to each other for a very long time. Inside the living room the two sisters thumbed through family photo albums. Greta marveling at pictures of people who were strangers to her but who were her relatives. She spent a long time staring at pictures of her mother, looking at her face and eyes. With her sister sitting next to her Stacy marveled at the miracle of the two finding each other. “If it weren’t for 23andMe this never would have happened,” she said.